Sports betting in the United States has been illegal everywhere except Nevada since 1992. New Jersey has been trying to fight this law so they can become the second state to legalize sports betting in the US. In 2012 the state attempted to legalize sports betting and was sued by the professional sports leagues. New Jersey lost in court but in 2014 the governor of the state, Chris Christie, repealed certain areas of New Jersey’s sports betting laws to try to legalize it in a different way. The professional sports leagues sued again and states around the country are waiting to see the outcome. If New Jersey can win the legal battle and start offering sports betting they’ll be a template for other states to follow when they want to start offering book making businesses. According to the Washington Post $3.9 billion was wagered legally in Nevada sports books operations in 2014. With this much money at play, it’s no wonder New Jersey wants a piece of the action. The taxes on billions of dollars are a significant amount. The state already has a casino hub in Atlantic City so adding sports betting could easily be integrated in the casinos already operating on the boardwalk. New Jersey is the home to several professional sports teams. NJ-based teams play in the NBA, NHL, and MLS. Unlike most states, they even host a couple pro teams that are named in a different state. New Jersey Nets – Members of the NBA, the New Jersey Nets are the states only professional basketball team. As an interesting side note, the NBA commissioner (Silver) has stated that he supports legalized sports betting in the US. He takes the view point that if it’s legalized it can be regulated and controlled. He’s the first head of a professional sports league in the United States that has publicly taken this stance. Most professional sports leagues act terrified that sports betting will lead to game fixing and corruption. I can’t imagine how this would be worse than the current situation that forces sports betting underground where criminal activity is more likely than if the activity was regulated. New Jersey Devils – The New Jersey Devils are members of the National Hockey League (NHL). Red Bulls or Metro Stars – Formerly known as the MetroStars, the Red Bulls belong to the Major Soccer League. Meadowlands – The Meadowlands is the New Jersey home of both the New York Giants and the New York Jets of the NFL. While both teams are officially from New York, they both have played their home games in the same stadium in New Jersey for years. The stadium is currently named Met Life after naming rights were sold to the company. The current stadium is owned equally by the Giants and the Jets. Before the new stadium was constructed both teams played in Giants stadium. The old stadium is directly beside the new one. Not well known for their powerhouse NCAA programs, New Jersey has two well-known colleges in Seton Hall and Princeton. These schools are much better known for their participation in NCAA basketball, though they’ve also participated in other sports, such as NCAA football. Princeton – Well known for their academic programs, Princeton does have teams competing in NCAA sports, but rarely are they competitive on a national level. Seton Hall – Best known for their basketball team, Seton Hall became well known in the 1990’s when their team started making deep runs in the March Madness tournament on a regular basis. While the current laws specifically outlaw land based sports betting in New Jersey they’re somewhat less clear about online sports books. Some say betting on sports online is clearly illegal while others claim it’s fine. If the availability of places to place wagers had anything to do with it being legal it would definitely be legalized. You can find hundreds of sites willing to take action from New Jersey residents, as well as from people living just about anywhere else. You also will be hard pressed to find any sports bettor who has actually been charged with a crime for placing a bet online. Neither of these things makes it legal, but thousands of people are doing it. If you decide to start placing bets online from New Jersey you should check with a local attorney to make sure you aren’t in danger of going to jail. You should also take the time to conduct a proper amount of research to make sure you’re placing bets with a safe online sports book. The traditional way of placing bets is by finding fellow office workers or friends who may be willing to bet on a game or finding a local bookie. Both of these methods are still alive and well in New Jersey. Have you ever participated in a March Madness tournament bracket event or drawing at work? Often called office pools, these are one of the most popular forms of gambling. Usually based on the popular NCAA basketball tournament held every march, people pay an entry fee and fill out a bracket predicting the outcome of all the games. The entrants with the best guesses split up the prize money. Another office pool is when you pay an entry fee and draw a team at random. The person who gets the team who wins it all wins the money. 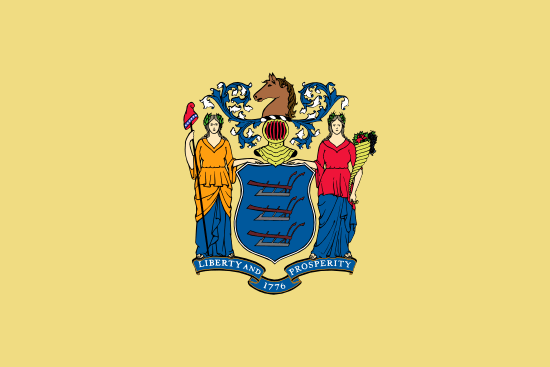 New Jersey is leading the fight to expand sports betting availability in the United States. The state is taking the view point that as long as people are going to place bets (and people prove that they will by betting with bookies and in office pools) they might as well try to profit from it. An interesting point is the spread of legal casinos was done on a state by state basis. Now more states have some type of casino gambling than those that don’t. If New Jersey can win the battle to make sports books legal I expect many states to follow suit. Casino gambling produces a large amount of tax dollars in every state it exists in and sports books will just add to that total.